How do I know whether this legal agreement suits my purpose(s)? Please look at the relevant Explanatory Notes. They are very informative and apply to agreements sold on this site. The Explanatory Notes set out in detail what each agreement covers and will also help you to compare agreements sold on this site with similar agreements for purchase elsewhere. How do I locate the agreement which best suits my purpose(s)? Please use the search box which is on the Home Page and on every page where agreements are displayed. Agreements have been divided into categories, which may be of assistance to you in locating the agreement you need. Do you make any legal documents freely available? Yes, we do; please click on this link to take you to our free legal documents. Please note that, from time to time, we will make certain agreements available for download for a limited period; it is therefore in your best interests to visit this site regularly. What format are the agreements provided in? All agreements are provided in MS Word format. Not only are we concerned about the substance of our agreements, but we also pride ourselves on the fact that our agreements are well formatted, aesthetically pleasing to the eye, spell-checked several times, and edited to ensure correct/proper grammar and punctuation. How do I download documents? After payment, the system will automatically give you access to your documents. Also, when you complete your details, the system will generate a password for you and email it to you. You can login using your email address and that password at any time to retrieve your document again, this will permanently remain. Please note the proviso below. How do I pay for my agreement? Agreements can be paid for using our secure PayFast facility. PayFast is one of the leading South African payment gateways and allows you to pay via credit card or instant EFT. Simply follow the prompts during checkout to complete your payment. Note: A free PayFast account is required to pay for your order. Signup is instantaneous, so all you need to do is enter your details when you are redirected to the PayFast payment gateway. Note further: there may be instances where EFTs do not clear immediately for whatever reason. As a result your agreements only become available when such EFT payment clears. This does not happen often. If in doubt, please contact support@payfast.co.za and your bank to ensure that such EFT is cleared immediately, thereby ensuring the automatic release of your agreements. We reiterate that this is a rare occurrence, but urge you to be mindful of this scenario if you ever make an EFT and do not receive your download link imediately. How will I be able to download my agreement once I pay for it? Once you've paid for your your legal agreement, you will receive an email from our system with instructions on how to download your agreement. The email will contain a secure dynamic link that you need to follow in order to obtain access to the agreement. Am I allowed to change agreements once I receive them? Yes, you may; however, unless you are a lawyer or have significant drafting experience, we suggest that you make minimal changes to the agreements provided. If you require your agreements to be reviewed or modified, please email info@sitllegal.co.za for a quote. I need a specific agreement, but it does not appear on this site? Please feel free to email us and we will provide you with a quote for the agreement you require. How do we give you feedback on the agreements sold on this site? 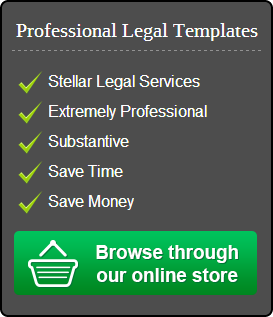 Please email us on info@sitllegal.co.za with feedback. We appreciate the time you are taking to assist us in making your experience on this site as easy and stress-free as possible.